Zeiler Partners was founded in Vienna in 2014 by Gerold Zeiler, the former head of the arbitration practice at another GAR 100 firm from Austria, Schönherr. He brought a team with him to the new boutique. A former president of the Austrian Arbitration Association, Zeiler regularly sits as arbitrator. He is a fellow of the Chartered Institute of Arbitrators and was appointed as a member of the ICC court last year. He’s joined at the new firm by partners Lisa Beisteiner and Alfred Siwy, who bring years of experience in ICSID and UNCITRAL work. In 2015, the practice recruited another Schönherr alumnus, Markus Schifferl, who joined as partner from rival boutique Torggler; and of counsel Christoph Schreuer, a renowned academic who authored the definitive commentary on the ICSID Convention and often sits as arbitrator. The team now consists of 16 members – all based in Vienna, though some members also work from Mexico City where the firm opened an office last year. Governments use the firm for investment treaty work. It has defended the Czech Republic in a number of cases and is acting for Bosnia-Herzegovina in two ICSID claims brought by different Slovenian investors. In commercial arbitration, it has advised high-profile names from several industries, including Shell, RWE, Deutsche Bank, Ikea and car companies Fiat and Seat. It has a particular niche in disputes relating to the gas market. Examples include acting for a Russian gas company in a dispute over a €2 billion contract; and an Italian gas trader in a €25 million dispute with a German energy group. Zeiler Partners had a good result for the Czech Republic at ICSID; a Paris-seated tribunal rejected a US$25 million claim against the state brought by British company A11Y after finding that the company failed to make out its claim for expropriation. The state was awarded costs of US$370,000. In its efforts to enforce the costs award in the US, the firm had further success after a New York court granted the Czech Republic a temporary order preventing A11Y from dissipating its assets. Meanwhile, the firm continues to represent the Czech Republic in another treaty case brought by Dutch company Fynerdale Holdings, which is being administered by the Permanent Court of Arbitration in The Hague. The case, however, was disrupted last year following the death of Chilean arbitrator Francisco Orrego Vicuña, Fynerdale’s appointee on the panel. The firm continues to defend Bosnia and Herzegovina against two ICSID claims brought under the Energy Charter Treaty – one of these a €70 million claim brought by Slovenian company Viaduct over the failed construction of two hydropower plants, and the other a €700 million claim brought by Slovenian state entity Elektrogospodarstvo Slovenije (EGS) over a power plant investment pre-dating the Bosnian war of the 1990s. The firm is also advising on a number of gas disputes; it is representing Shell in a gas transport dispute worth €70 million under ICC rules, and a large Italian gas trader in a claim against a large German energy group. Andrea de la Brena, who has worked at the firm for two years both in Vienna and Mexico City, was promoted to counsel. Lisa Beisteiner was elected to the advisory board of the Young Austrian Arbitration Practitioners. She replaces her colleague Markus Schifferl on the board. zeiler.partners is a dispute resolution boutique. It is a growing law firm with currently five partners, one of counsel and ten associates. 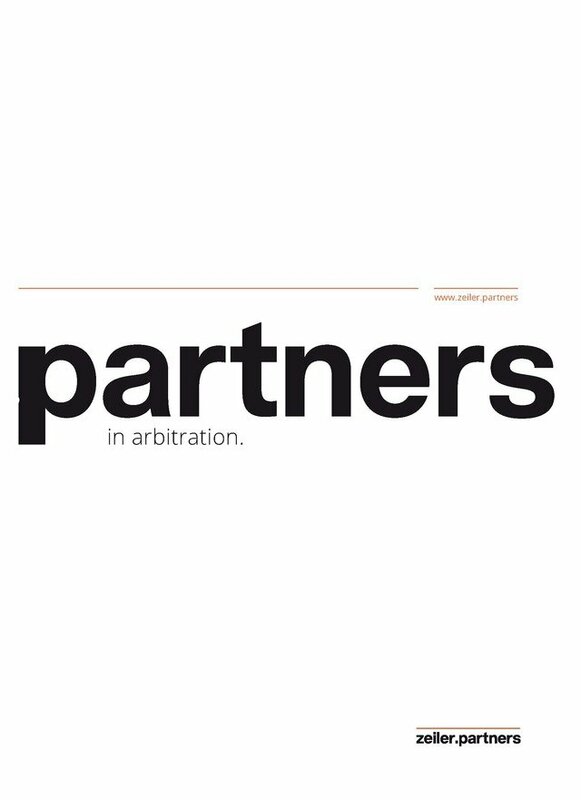 Four of the firm’s partners are concentrating on international commercial arbitration and investment arbitration. Although the firm only was founded in 2014, all partners have considerable experience and are well-regarded specialists in their fields of law. The team has a wide range of experience in arbitrations under the ICC, UNCITRAL, VIAC Rules and in disputes arising from bilateral investment treaties (including the representation of investors and governments in ICSID arbitration proceedings and investment arbitrations conducted under the UNCITRAL Arbitration Rules and Stockholm Rules). They regularly sit as arbitrators. A special focus of the firm lies on energy and investment arbitration. The partners of zeiler.partners also represent clients before Austrian courts in all areas of commercial law. The partners of zeiler.partners have chosen the smaller setting of a boutique firm where their full attention lies on the personal service to their clients.